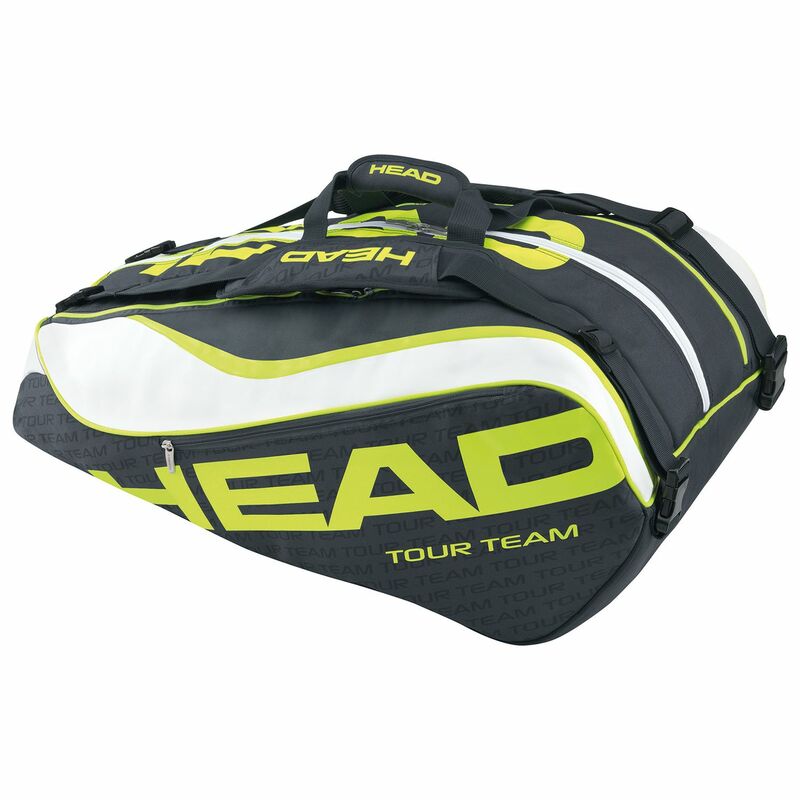 The Head Extreme Monstercombi 12 racket bag is a versatile, large capacity bag for serious players which can be carried over your shoulder, as a backpack or with the carry handle. It has three compartments which can hold up to 12 rackets, including a mesh one which could store clothes or shoes and another with CCT+ technology. This provides protection for rackets against temperature extremes. The outside zipped pocket can be used to store accessories. for submitting product review about Head Extreme Monstercombi 12 Racket Bag AW14.